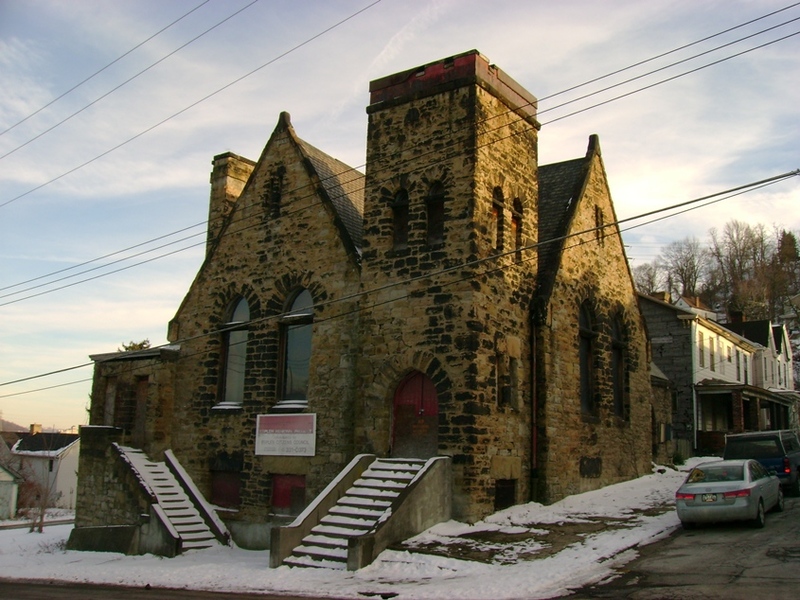 Historic Presbyterian Church Demolished, Esplen, PittsburghI am sad to report that the Old Stone Presbyterian Church in Esplen (West End) has been demolished. Circa 1892. This was the last surviving historic landmark in Esplen. As you may be able to imagine, I am not happy right now. It was always my goal to nominate this building as a historic landmark with the city, when and if I became a city resident again. Now, it's too late. It's just an empty, hay-covered lot.